In 1911, Jack London was fast becoming a local celebrity and Sonoma County’s second favorite adopted son, after Luther Burbank. The pages of the Santa Rosa newspapers were salted with more items about him than all previous years combined, which is a bit surprising because Jack and his wife, Charmian, really weren’t around here that much – except for a few weeks in the autumn, the pair followed their usual pattern of brief stays at “Wake Robin Lodge,” the Glen Ellen home of Charmian’s aunt, where they had a cottage and frequently entertained Jack’s retinue. The new interest from the newspapers was probably due in part to the changing times; the progressive era was in high gear by then and Jack’s enthusiasm for socialism no longer seemed so radical. Also, there was significant work at their expanding ranch even when the Londons were away; the Press Democrat, for example, was particularly interested in all the eucalyptus trees he was planting. The PD also took note of what he was building, undoubtedly hearing gossip that a big house was in the works. Yet the paper – which deserved praise for earlier debunking claims that London was fighting in the Mexican Revolution – bollixed up a simple item about construction activities that spring. “Jack London Building a Fine Bungalow,” the headline read, explaining he was pouring a concrete foundation for a two-story house “on his place at Glen Ellen.” Now, Mr. or Ms. Armchair Historian might well hyperventilate at reading that news, believing it’s an understated announcement that serious work was underway on Wolf House. 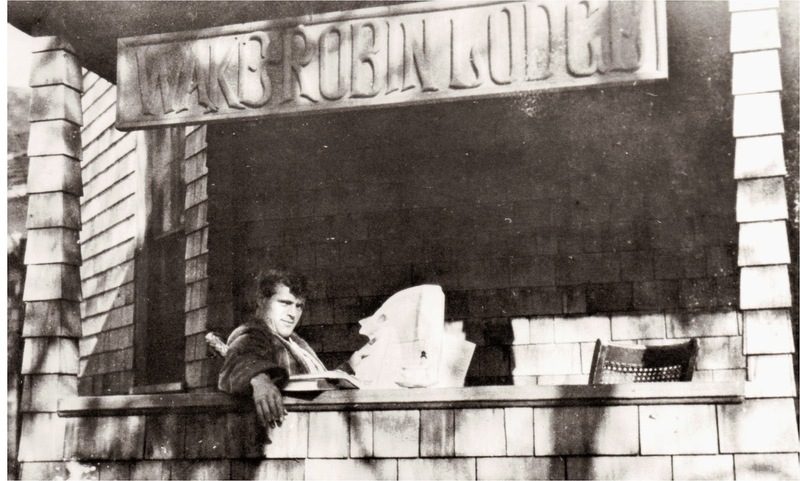 But according to Russ Kingman’s essential reference, “Jack London: a Definitive Chronology,” the concrete work was simply for an addition at Wake Robin Lodge. Confusing matters further, Jack and Charmian had just purchased the old winery property with the cottage where they would soon live and were talking about making some improvements. The PD reporter dumped the two events together into the same pot and stirred. What made that item noteworthy, however, was that London insisted he would only hire local workers. Given that it’s been decided that Wolf House burned down a couple of years later because careless workmen left oily rags piled together, perhaps his egalitarian interest in “patronizing the home folk” was the undoing of his great house. Jack and Charmian spent that summer making a twelve-week road trip to southwest Oregon and back with a wagon and four-horse team – 1,500 miles, covering thirty miles on most days. That was actually a pretty good rate of progress; a recent article by Gaye LeBaron described the perils of North Coast roads in those days. The trip was a working vacation; Jack wrote a number of inconsequential short stories which she typed up and mailed off to publishers from little towns along the road. It was also a much-needed getaway for the both of them. He missed adventuring out-of-doors and jawing with average folk; Charmian was determined to use the journey prove she was still his equal as an adventuring companion. Their only child, Joy, had died almost exactly a year earlier, only 36 hours after birth. In her later memoirs, Charmian wrote that during this trip her “health was not the best; but I was wary to avoid giving any possible impression to Jack that I linked my lack of freshness in any way with maternal misfortunes. I had early discovered that the slightest suggestion of such a thing irritated him instantly and beyond sympathy.” Jack London, it seems, who was a staunch advocate of women’s rights in all things, “harbored a deep-rooted, resentful opinion that the majority of womenfolk held their men responsible for all the consequences of reproduction!” [emphasis hers] In the same section of the book, she brought up that Jack later ranted about “his superb ‘disgusts’ with the universe of which I was an important part.” He cooled down and she remarked “Jack’s retractions and apologies, generous if rare, were among the sweetest of the silken ties that bound us forever.” Although her memoirs are mostly hagiography, it’s to Charmian’s credit that she also included these unflattering views of London in her book. After he dressed, Mr. London would start to work. He had a certain way of writing, and it was the same every day. He has a cigarette in his left hand and a blunt fountain pen with a wire tube at the end–a stylograph. He always used this instead of a fountain pen. The idea is that he doesn’t have to watch the nib to see if it is turning to one side. When he is writing he is always humming something or singing. It is called “Redwing” [listen here]. He played that all the time on the phonograph on the Snark, and at home he still hums and sings it. Then he puffs a cigarette and writes some more and he does that for twenty minutes and then he gets up and takes a drink of Scotch whiskey. Then he eats a Japanese fish, the small white dried fish called creme iriko [anchovies] that they use for bait. He eats that once in a while and then writes. Every twenty minutes he counts the pages. he writes so big, I suppose there are a thousand words to about twenty pages. After he writes about an hour, he begins to count and then writes about twenty minutes again. About four or five times he does this, and then he figures he is finished with his work. “Study, recreation and talk, with what he considers most important of all, the cultivation of eucalyptus, occupy the balance of his time,” wrote Bland and eucalyptus farming was the common thread that weaved through almost every article about London that appeared in the PD that year; “He will continue to plant the trees until he has 100,000 and they will cover a wide area of land,” another item stated. In letters earlier he mentioned fifty thousand were already growing and wrote a few months later that another 40,000 were added. Soon Beauty Ranch would be stinking like cheap menthol cough drops. That year was about the peak of the eucalyptus boom, when otherwise sensible West Coast ranchers and farmers were convinced they could get rich quick via such eucalyptus plantations. It was believed that weedy eucalyptus trees were a miraculously fast-growing hardwood that could be used for lumber, railroad ties or almost any other purpose, including building fine furniture and constructing violins. But entrepreneurs like Jack London didn’t grasp its reputation was based on samples from Australian old-growth trees that were probably hundreds of years old; wood from younger trees had to be carefully milled and long seasoned, otherwise it was good for little more than firewood. It was exactly the opposite of a cash crop and additionally harmed the soil by driving out native species and sucking up its weight in groundwater. Lose-lose, no matter how you squinted at it. London’s particular form of eucalyptus mania was that it would be in great demand for wharf pilings. He believed that the wood-boring worms that normally destroyed wharves wouldn’t touch eucalyptus because of its oil. He was wrong. The oil wasn’t a repellant at all. Jack London was a savvy guy and certainly believed he had properly done his research; according to the chronology, he could recite data on the number of wharves destroyed annually by Limnoria and Teredo worms. How could he – and numerous other investors – be so wrong? The latter statement was simply untrue. Santa Barbara had experimented with eucalyptus pilings back in the early 1890s and given up on the wood. And London certainly should have also read a more recent pamphlet from the California State Board of Forestry, “A Hand Book for Eucalyptus Planters“, which specifically warned against placing it in seawater: “It is attacked and ultimately destroyed by borers, notwithstanding contrary statements.” Still, the state foresters wrote, it was great wood when it came from “old, slow-grown trees cut during the winter and seasoned thoroughly.” Which completely defeated the notion of eucalyptus being a quick moneymaker. Again. Jack London, the novelist, is to erect a fine bungalow on his place at Glen Ellen. Already work on the foundation has started and it will be of concrete. The best of material will be used in construction and the work will be done by day labor. 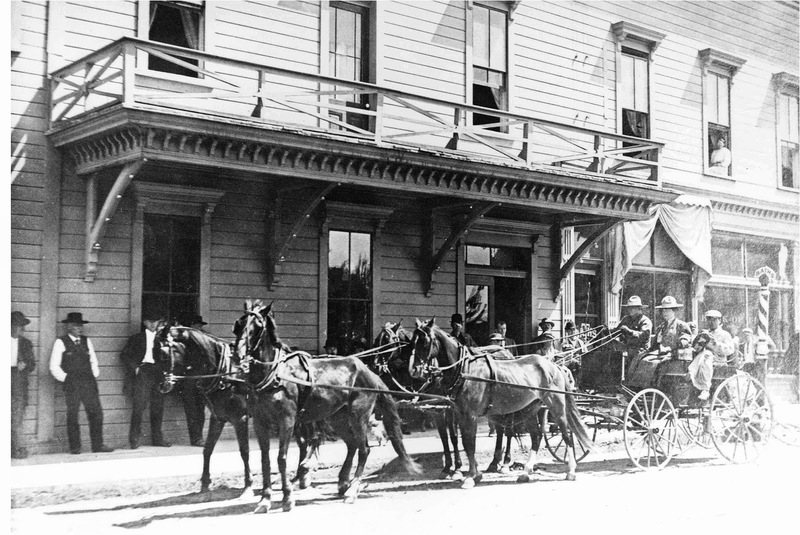 The superintendent of the building is a San Francisco man, but Mr. London has declared that the labor shall be done by the men of Glen Ellen and vicinity, believing in patronizing the home folk, and in giving Glen Ellen the benefit of the money he spends. It will be a two story house and it will be an artistic home. Jack London, the famous writer, has placed an order for 30,000 eucalyptus trees and delivery will be made in January, when the heavy rains have set in. The trees will be shipped to Glen Ellen, where Mr. London will set them out on his property and in a number of years expects to have a big grove. He will continue to plant the trees until he has 100,000 and they will cover a wide area of land. Jack London is at last showing signs of forgetting the wanderlust and is settling down on the hill slopes of the ranch he has selected for his home. He is building a new residence at Glen Ellen, Sonoma county, in which he intends to continue the making of books with less strenuosity than heretofore. London’s home will rise on a beautiful height overlooking a fertile valley–a favorite location for California writers. The author of “The Call of the Wild” has wandered in so many lands and domiciled among so many people, all for the intenser study of human nature, that it is a great joy for him to spend a few months on the ranch. His temporary abiding place is the Ames [sic] cottage. Wake Robin lodge, a homelike dwelling nestled among white and live oaks. His friends know him best when he swings at ease in a hammock on the shady creek bank. But whoever visits Wake Robin must be prepared to live a vigorous intellectual day, for the author of “The Iron Heel” feeds upon heavy brain pabulum, such as Nietsche, Schopenhauer and Henry George. He delights to have his company appreciate his favorites. Every morning London goes into his den and holds to a strict regime of work. A thousand words a day is his literary task. This he ordinarily accomplishes between 7 and 12; but if the allotment is not done at noon, be writes after luncheon. Study, recreation and talk, with what he considers most important of all, the cultivation of eucalyptus, occupy the balance of his time. For more than a year the Snark, the “two-master” in which he sailed the south seas, was his home, yet even while on the broad seas, save when storms kept him and his crew busy, he kept up his literary work. The London library is most interesting to the visitor. Besides a working quoto of books it contains photographs and curios gathered from every part of the globe, from the mummified head of a South American Indian to a toy book with which he plays a practical joke on the unsuspecting. The loyal Californian finds satisfaction in the intention of the Londons to make California an abiding home. It is well known that Bret Harte, the novelist’s predecessor in the art, wrote nothing after he deserted the coast equal to the work done here. It is felt by many that Edwin Markham. who forsook Berkeley hills for metropolitan New York, might return to his old haunts, much to the advantage of his muse. In fact, Markham keeps promising himself a home in the west once more. London, lover of the out of doors, knows what the home land has done for him and holds to it as ths kingdom of his heart’s desire.